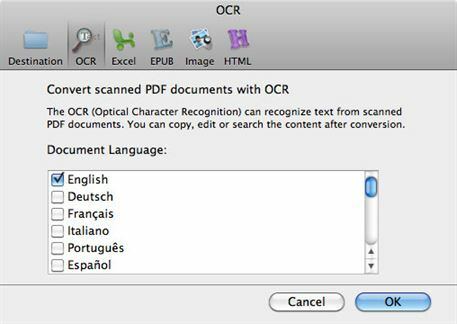 OCR software is incredibly useful for converting scanned documents into editable text that you search, change and so on as you need. This can save huge amounts of time when dealing with document images, as it saves having to retype large volumes of text to make just a small change and so on. There are numerous solutions for your OCR needs, including several free solutions. We will look at a few free OCR software here, to see if they can meet the requirements for accurate OCR that most people will encounter. If you want to edit your OCR files, you can choose PDFelement ProPDFelement Pro. 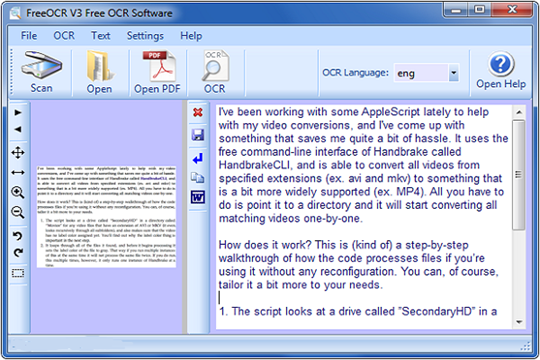 FreeOCR is a fully functional OCR package for the Windows package that can import scanned documents from Twain scanners, PDFs and image files. It uses the Google supported Tesseract engine for enhanced accuracy and is presented in an easy to use interface that makes the whole process simple to follow. With 10 languages included it is a flexible package that works very well. Once a document is OCR'd, the resulting text is placed in the interface and can be copy and pasted into any document desired for maximum compatibility. This is another free package designed for use on the Windows platform, and is basic, but useful tool. Restricted to just English and French, it lacks the language options of some here, and again, OCR'ing a document provides you with a text panel within the application, that you simply copy and paste into the required document format when complete. It has good accuracy and a simple, easy to understand interface but even compared to other free software is somewhat basic and there are perhaps better choices out there today. 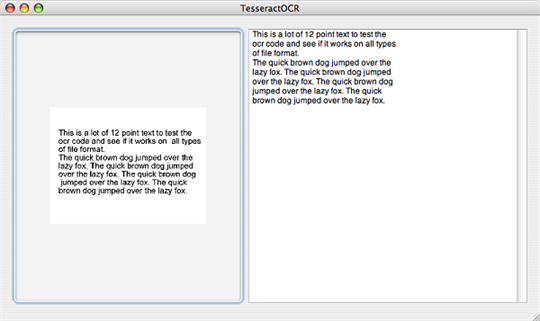 Tesseract-OCR is a free and open source OCR solution that is currently maintained by Google. It has a wealth of options and can be used on Linux, Windows and OS X. However, whilst well featured, it has support for several languages and these can be extended via downloadable extensions, it is extremely complex to run and requires some understanding of the underlying code to get the best out of it. However, it produces very accurate results and with its compatibility with a wide choice of platforms can be a useful tool for those who can manage to get through the steep learning curve. Whilst the free packages do offer a certain amount of usability, there are downsides. With Adware installed on two of the options and the third one being overwhelmingly complex for many people, the price may not be the bargain that it first seems. Limited languages, and an inability to export directly into a file are other restrictions with all of these free packages, and although they are perhaps helpful in an emergency there are better solutions out there. 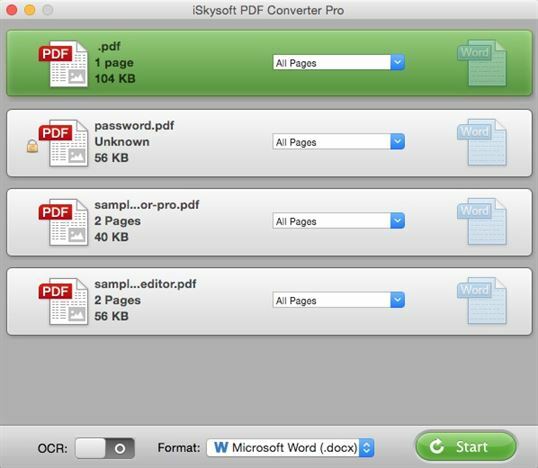 With that in mind, we can look at what is on offer commercially, and the best option here is iSkysoft PDF Converter Pro for Mac, which not only includes a multitude of features for converting and manipulating PDF files, but a comprehensive, easy to use and very accurate OCR engine as well. With a wide choice of 17 different languages and export into a variety of formats, as well as batch processing that means you can set up as many as 200 files for conversion all done automatically, it has the tools to make your OCR needs simple to manage. After you have successfully downloaded and installed PDF Converter Pro for Mac, you can then drag and drop your PDFs to the program. Also, you can click the File menu on the gray header bar and select the Add PDF File option. 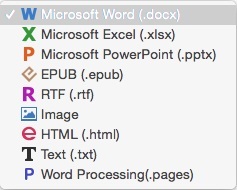 To set the language for your file, you can click PDF Converter Pro on the gray header bar, and then click Preferences > OCR. From here, you are free to choose any language you prefer. To set the output format, you just need to click the Gear icon to activate the window for output settings. Select an output format for your PDF and customize the page range. When everything is OK, tick the Convert the Scanned PDF Documents with OCR option and click Convert to start the OCR process. It’s very simple, quick and convenient, and if you need OCR on a regular basis, it is worth the cost over the free packages we have looked at. PDFelement ProPDFelement Pro comes with the advanced OCR feature. 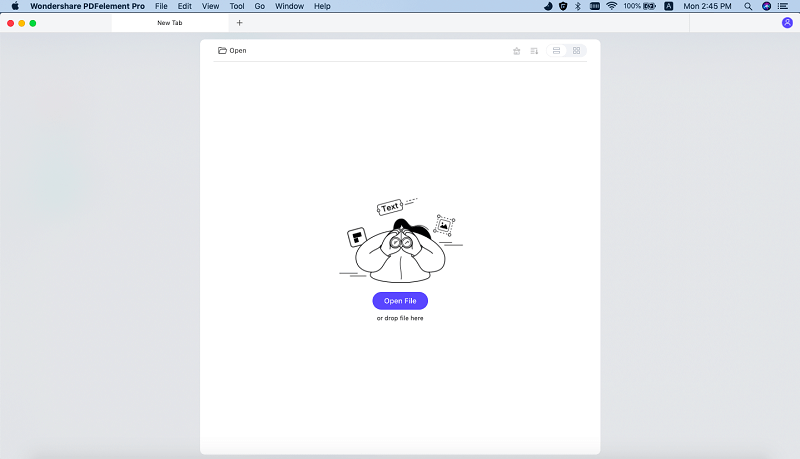 With this smart PDF OCR tool you can edit and convert scanned PDF just in a simple steps. Besides, you can also use this tool to convert the PDF documents to many popular image formats such as Word, PPT and images etc. 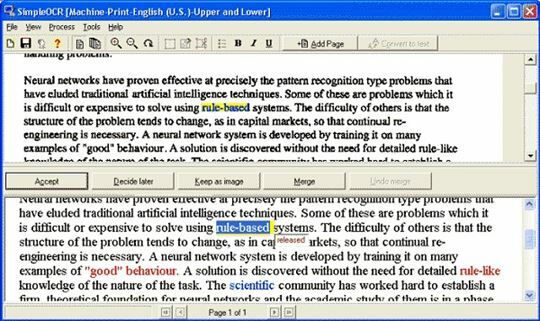 Multiple editing tools allow you to edit PDF files as your needs. Advanced OCR feature allows you to edit and convert scanned PDF easily. Edit PDF texts, graphics, images, links, watermarks and other elements with ease.